On 28 March, the Supreme Court bench comprising the Chief Justice of India, Justice TS Thakur and Justice UU Lalit, will hear as item 8 the case of suo motu writ petition, In Re; Muslim Women’s Quest for Equality. Along with this, the bench will also hear Shayara Bano vs Union of India and others. Bano is represented by well-known advocate, Balaji Srinivasan, pro-bono. LiveLaw covered the case earlier here. Bano seeks mandamus declaring the practices of Talaq-E-Bidat, Nikah-Halala and polygamy under Muslim Personal laws as illegal, unconstitutional for being violative of Articles 14, 15, 21 and 25 of the Constitution, and to pass such further orders to provide a life of dignity unmarred by any discrimination to Muslim women. The All India Muslim Personal Law Board has filed an Interlocutory Application in the case. The AIMPLB has submitted that the issue of Muslim Personal Law is cultural issue, and it is inextricably interwoven with Islam. It has argued that it is the issue of freedom of conscience, guaranteed under Article 25 and 26 read with Article 29 of the Constitution. The AIMPLB has also submitted that the Part III of the Constitution does not touch upon the personal laws of the parties, and therefore, the Supreme Court cannot examine the question of constitutional validity of the practices of marriage, divorce and maintenance in Muslim personal law. The AIMPLB has argued that the framers of the Constitution were fully conscious of the difficulties in enforcing a Uniform Civil Code and thus they deliberately refrained from interfering with the provisions of the personal laws and laid down only a directive principle. The AIMPLB has also cautioned the court that if lays down special rules for Muslim women in marriage, divorce and maintenance, it would amount to judicial legislation. 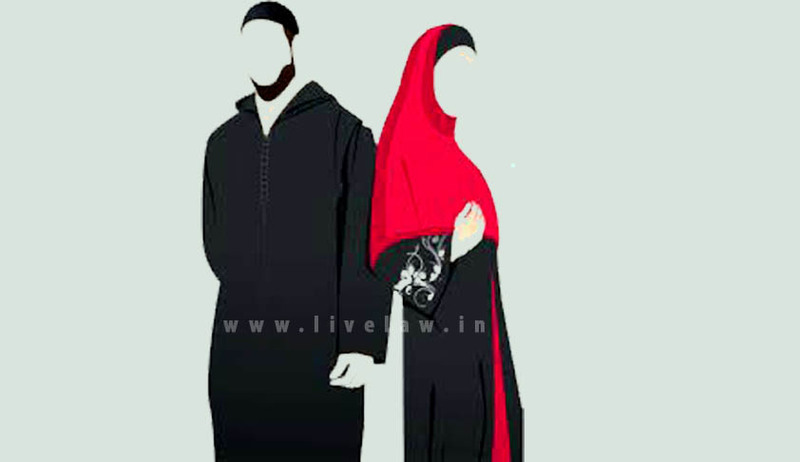 The AIMPLB has further argued that the rights of Muslim Women are already protected by virtue of Muslim Women (Protection of Rights on Divorce) Act, 1986, whose constitutional validity has been upheld by the Supreme Court. Prescribing other parameters to govern the rights of Muslim women, would amount to judicial legislation, which is not permissible, the AIMPLB has said.